How can young people be expected to save and invest for the future if they haven’t been given some reasons to save? In this article, we offer 7 reasons why everyone should start saving early. With some savings to cover your own expenses, you do not have to worry about relying on someone else. Trust me, with financial independence, you have solved one common cause of stress in the world. You may have heard that serious stress can cause ulcers, blood pressure and general impact on productivity. 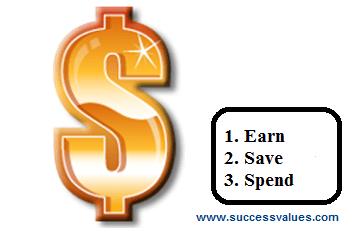 By saving money today you will have financial security in the future. Whiles some mortgage program allows you to purchase house without any deposit, you get better rates and low interest by making down payment say 20%. Down payment helps negotiation as well as your financial ability to consider a bigger and more elegant home. A Chinese proverb says “Do not wait until you are thirsty to dig a well.” In life you should always expect the unexpected, and this is why you need an emergency fund. Your emergency fund can be used to cover unexpected car repair, home repairs, medical bills, or support on sudden job loss. Many experts recommended that three to six months of your living cost should be saved into an accessible account as emergency fund. Note: Do not put your emergency funds into stock or mutual funds, because these investments are subject to serious market risk and you can even lose your entire investment. They say opportunity knock but once. If you could build a good savings, whenever an opportunity knocks, you will be able to grab it. Many people life have change because they were prepared when opportunity knocked. Let say a friend approached you with a good business idea and given you an opportunity to invest, you can only grab it when you have enough savings. Thinking of higher education for yourself or kids, think about savings. You do not have wait for offer letter before you think about the tuition fees. Start saving now and fulfill that dream of going to college or university. The sooner you start thinking about retirement, the better for your future. Retirement is something that happens every day and you should not even imagine to retire without enough savings for your needs. Put some money aside for your retirement and at least match your employer’s contribution. Thinking of going for holiday or a summer camp in Dubai, London or Disney? If your answer is yes, then start savings towards it. It is not wise to take debt and spend it on luxury like holiday or new car. How much do you need to save each month to reach your goal? To find out, divide the amount you need by the number of months between now and your planned date. This approach can apply to other luxury items like new car, expensive jewelry etc. Remember people who make regular savings, even small amounts, are well on their way to financial success. Be the first to comment on "7 Reasons Why You Should Start to Save"